This particular work is one of her female series representing Mother Earth, or the Earth Goddess, which was created in connection with her greatgranddaughter's name. There are also black and yellow versions of this series. Since she attracted the public eye with her "Nana" series in 1965, Niki de Saint Phalle has been making serene female figures. One of her major works is the gigantic reclining sculpture "Hon" in Moderna Museet Stockholm, made in collaboration with Jean Tinguely in 1966, which allows viewers to make a tour of the inside of the figure's womb. 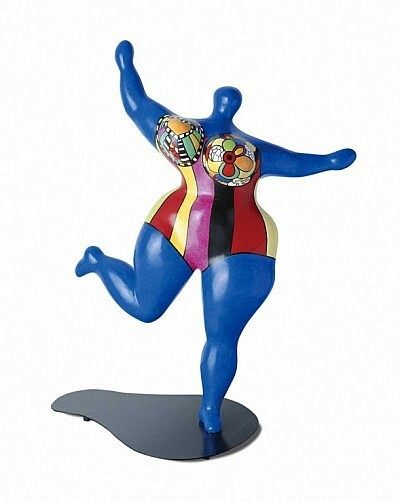 Niki has also been creating other colorful and dynamic female figures.